We've all been there. 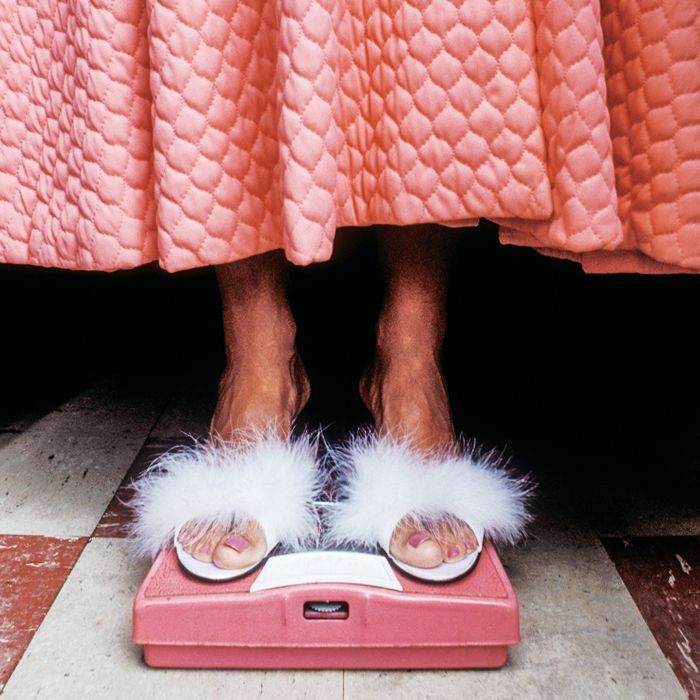 We've all needed to squeeze into a dress for a wedding or wanted to drop a dress size before a beach holiday and thought about going on a crash diet, and heck, some of probably have tried crash dieting in the past. Thankfully these days with the body positivity movement taking hold, women are starting to feel more confident in their own skin. The thing is that a worrying number of people still type the phrase "crash diet". So if I can help dissuade just one person from harming their body by going on a crash diet, then I will have done my job. If you want to lose weight, then eating a balanced diet and exercising is the way to go. Agonising over every last calorie you consume and severely restricting your intake is neither fun nor safe for your body or mind. I called on nutritionist Filip Koidis, founder of W1 Nutritionist, to explain exactly what happens to your body while you're crash dieting. "Crash diets and the philosophy that comes with them often leads to distorted eating behaviours (binge-eating, overeating), unpleasant emotional states (guilt and eating-related stress), as well as poor metabolic and body composition effects," says Koidis. 1. Your body reduces its 'thermic effect' (energy your body uses to digest food), as you are eating less. 2. Your resting metabolic rate decreases as you weigh less. 3. Non-exercise activity thermogenesis decreases. 4. You absorb the full spectrum of the calories you consume, whereas in a normal state you wouldn't absorb as many. 5. Your hunger signals start to accumulate and push food cravings through the roof." We asked Koidis to map out what happens to the body immediately after starting a crash diet and what would happen if you had the willpower to keep it going over a matter of weeks or even months. The first 12 to 18 hours on a crash diet, your body is preparing to get into "starvation" mode and is utilising as much of its stored energy (glycogen) as possible. As your energy stores are reduced, due to the lack of energy intake, cortisol levels rise, which can cause our bodies to hold onto more water and make us feel "bloated" and less lean than we actually are. Also at this stage, our natural response to keep our core temperature stable (non-exercise activity thermogenesis) decreases, which might manifest as shivers and coldness. At this stage, our body's energy stores are most likely completely depleted, and as the body can't tell the difference between food scarcity and starvation, it slows the metabolism to conserve energy. Our bodies have an amazing survival instinct, allowing us to reduce our energy expenditure in an attempt to conserve energy, which makes us sluggish and great at storing fat. Your metabolism slows way down, so it's difficult to burn calories. As your metabolism has been decreased and your body is preferentially storing fat (fat has more energy), lean tissue starts being burned off, which is mostly muscle. Furthermore, as your thyroid function is affected, adrenaline secretion is reduced, which makes you feel mentally and physically run-down. By the first couple of weeks, there is a great chance that at least 50% of your weight loss is lean muscle. From this stage onward, you are also likely to start missing out on important nutrients (protein, B12 and iron) due to the restrictions of crash diets, compromising your immune system, mental ability and overall health. Food obsession is likely to start affecting your personal and social life, as you can't stop thinking about when your next meal is or what and how much you are allowed to eat. You'll most likely spend your days obsessing about food. As the days go on, your cravings will go through the roof, as there is a buildup of appetite-stimulating hormones in your system (ghrelin, neuropeptide Y) and binge-eating episodes are more likely to happen. By now you are a "hangry" person. Your appetite hormones will be out of control and you'll also be in a constant bad mood because you most likely had green tea and a rice cake for breakfast, so you get in a vicious cycle of being hungry and moody. There is a good chance that there have been some "breakout" cases at this point, where you gave into your body's constant "nagging" for energy and consumed everything you found in front of you. If you’ve made it this far without being hospitalised or having irreparably damaged your metabolism and health, you are likely to be a moody, walking cluster of bones. Next stop: rebound weight gain! As you have been trained in an "all or nothing" mentality for months, you are probably going all out over those "forbidden foods". Having lost most of your muscle mass, your body will be a fat-absorbing machine, as its priority will be to replenish the energy stores. Our body’s fat cells have a great memory, and the original body fat levels can be reached much faster following a crash diet and are in many cases surpassed. 2. A higher chance of developing blood sugar–related diseases like diabetes, as you have spiked your insulin sensitivity. 3. You are now storing fat more efficiently. 4. Your muscle mass is very low affecting your health, body composition, posture and confidence. 5. Your relationship with food is damaged and a food disorder is a step closer. 6. Likely social implications such as isolation. Want to form a better relationship with food and look and feel healthier? Try following a diet that focuses on intuitive eating and balanced meals.